(Article by LAURIE EVERETT. The Wilson Post. May 4, 2018. Click Here for full article) Plans for a new senior citizens’ center in Mt. Juliet continue to gain momentum, and a local developer has further bolstered efforts with a commitment to donate nearly a quarter-million toward the facility’s construction. The contribution is tied to Goodall Homes’ planned Groves Reserve development on Pleasant Grove Road. A development for residents age 55 and older, Groves Reserve will include 99 units – and Goodall Homes has pledged to contribute $2,500 per lot, a total of $247,500, toward the new senior center. Caleb Thorne, an engineer with Ragan & Smith who represents the developer, said the $2,500 will be donated on a per-lot basis as the permits are pulled. “Groundbreaking should be this year , with permits pulled the first quarter of 2019,” Thorne said, adding the developer would like to build out Groves Reserve as quickly as possible. Certificates of occupancy will be issued in 2020. Goodall Homes’ Maverick Green said the company would agree to contribute 100 percent of the $2,500 per lot toward the construction of the new senior facility. At the most recent Mt. Juliet City Commission meeting, city squires unanimously approved an amended ordinance to adopt the Groves Reserve preliminary master development plan. The ordinance was amended to reflect the per-lot contribution will be allocated to the senior center and paid prior to pulling the building permit. Commissioners also approved plans to add a turn lane on Pleasant Grove Road during the first phase of Groves Reserve’s development. Mt. Juliet City Commissioner Ray Justice thanked Goodall Homes for their willingness to work with the city and its senior citizens. “This is just a really big deal for the senior center’s future new facility,” he said. “I am just so appreciative for all the things happening for our seniors,” Mt. Juliet Senior Activity Center Director Sonja Robinson said. “They need a new center. I didn’t realize how much until I recently became director.” The Mt. 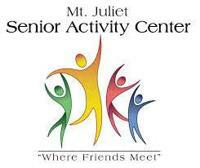 Juliet Senior Activity Center now counts more than 645 members. Thirty-five percent of those are recent sign-ups. Robinson noted a recent raffle event brought in $10,000 toward the senior center’s building campaign, and another fundraiser is scheduled for June. The City of Mt. Juliet has also extended support to the center’s building campaign, agreeing to lease a three-acre, $500,000 piece of property on Clemmons Road to the senior center for $1 per year as a site for the new facility. Justice said this week a land lease contract will be signed by both entities.